The Sevenoak MicRig is a universal video handle with built-in microphone. 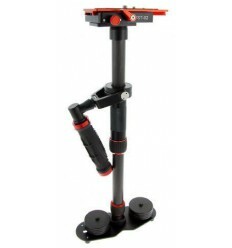 Simply place your DSLR camera, smartphone or GoPro on the MicRig, using the supplied adapters. Sound hardware is also included: Boya's integrated stereo microphone is located at the end of the handle. The MicRig includes three cables, allowing you to connect the microphone directly to your (DSLR) camera, smartphone or GoPro. The handle has a slight suspension, which makes small vibration less visible in the video. 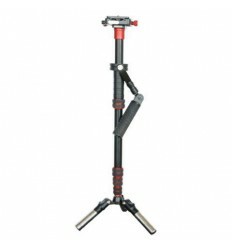 Both the handlebar and the legs of the MicRig are fitted with a rubber coating, which allows you to put down the MicRig steady and hold it firmly. 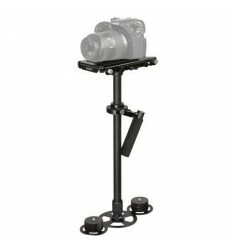 The position of the camera relative to the MicRig is adjustable. 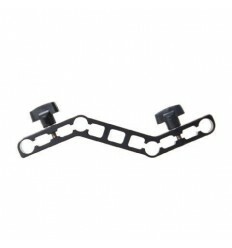 This allows you to move the camera in all directions to find the perfect balance point. On top of the MicRig there is a coldshoe where you can mount your favorite accessories. For example, think of a LED lamp or monitor. 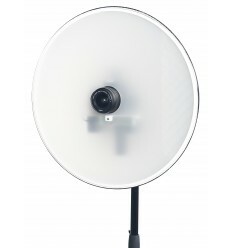 At the bottom of the MicRig is a 1/4 inch female screw thread, which allows you to place the MicRig on a tripod. A variety of connections can also be found on the smartphone adapter: on top are a coldshoe and 1/4 inch female screw thread located. On the front is also a 1/4 inch female screw thread. On the back is a convenient water level. 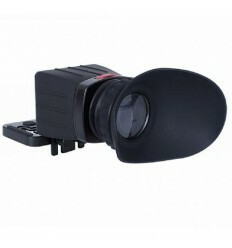 The built-in stereo microphone is made by Boya and offers excellent sound quality. The microphone works on one AA battery. The built-in LED light shows clearly whether the microphone is turned on. With the three switches you can turn the microphone on and off, activate a low-cut filter and boost the audio output by 10db. The windshield ensures noise-free shooting even outside in the wind. 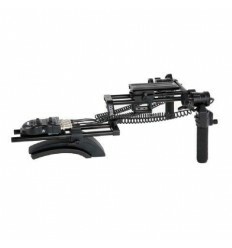 The MicRig is the ideal accessory to increase the quality of both the video and sound of your recordings. 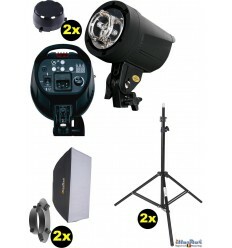 Perfect for events, weddings and sports. 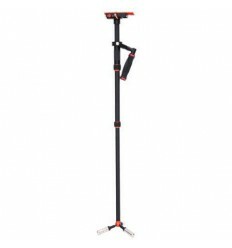 The MicRig weighs, including microphone, only 450 grams. So it's very easy to take the MicRig with you all day. Drag your mouse over the picture for a 360 degree view.